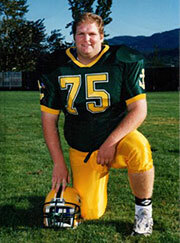 Steve was a three-sport letterman at San Lorenzo High School, where he was All Conference and played in the Northern California All Star Game. 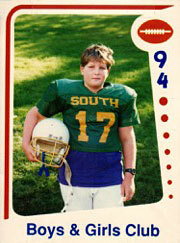 He accepted a football scholarship to the University of Miami, where he was a two-year starter at offensive guard. As a freshman at Miami, he played on the Scout Team and had the misfortune of trying to block future All-Pro defensive end and linebacker Ted Hendricks (Colts/Raiders) every day. As a senior, he had the misfortune of trying to block future All-Pro nose tackle Rubin Carter (Broncos) every day. Steve learned humility and worked on his perseverance as a Hurricane. You can see video of Steve Robey (No. 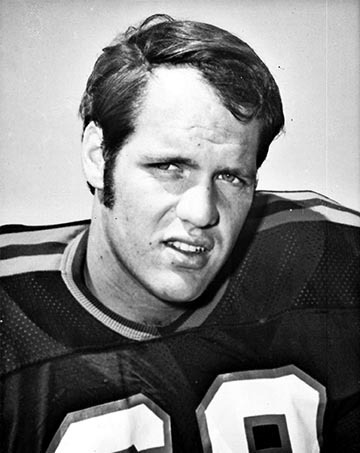 69) playing weak-side offensive guard in the University of Miami’s victory over the University of Florida in 1970 at Gator Field in this documentary of Coach Walter Kichefski. The University of Miami players are in white uniforms, and the game footage starts at 3:25 into the video. 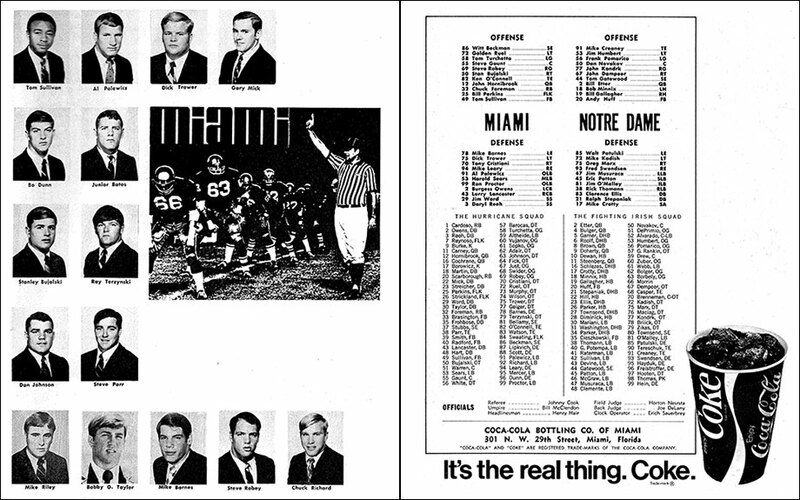 Read more about the University of Miami History. 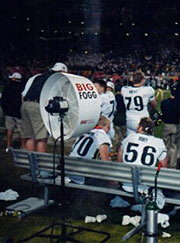 As part of the 2001 University of Oregon Football Team, Beau G. Robey was inducted into the University of Oregon Hall of Fame. The 2001 Ducks Team went 11-l, won the PAC-10 Championship and the Fiesta Bowl, and came close to playing for the National Championship. The Ducks ended the season at number 2 in the national rankings. 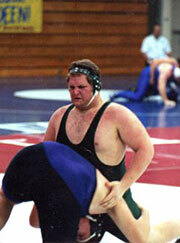 Beau played high school football and wrestled for Sehome High School. There may have been Oregon teams more talented but none reached heights. Certainly the record would reflect that there were few better as the 11-1 ledger would include the most wins in Oregon history, not to mention an unprecedented No. 2 season-ending national ranking. Although it was the Ducks’ Hall-of-Fame quarterback who would serve as the face of the program, the Fiesta Bowl champions represented so much more than just one player. Under seventh-year head coach Mike Bellotti, three players were awarded first-team Pacific-10 Conference all-league honors, two received All-America acclaim, and 14 players from Oregon’s third outright conference champions in school history would go on to hear their names called during the NFL Draft over the course of the next four years. This was in addition to a Heisman Trophy finalist, the conference’s Offensive Player of the Year and the Fiesta Bowl MVP. Only a seven-point setback to Stanford would stand in the way of an unblemished season and a probable date in the National Championship game, which many felt Oregon so richly deserved. But there was a sense of destiny that prevailed as five of the 11 victories materialized by a margin of one touchdown or less and the Ducks found themselves trailing in the fourth quarter on four of those occasions. Yet above the individual accomplishments was a bond that elevated the finished product above its components, culminating into a team that overwhelmed third-ranked Colorado, 38-16, to claim a third-straight post-season triumph. EUGENE – The University of Oregon’s 2001 football team, which came close to playing for a national championship, and three members of the Ducks’ 2002 men’s basketball team which advanced to the Elite Eight of the NCAA Basketball Tournament, headline five individuals and one team to be inducted as part of the University’s 23rd Athletics Hall-of-Fame class during this weekend’s activities surrounding Saturday’s football game against the University of Wyoming. The Ducks’ 2001 team, led by Heisman Trophy finalist Joey Harrington, was the winningest football team in school history at that time and finished the year ranked second in the country following a dominating 38-16 win over Colorado in the 2002 Fiesta Bowl. Yet after accumulating a 10-1 regular-season record and an outright conference title, Oregon was passed over by a Nebraska team that had lost its conference championship game to Colorado for a berth in the BCS National Championship Game against Miami. The trio of Luke Jackson, Freddie Jones and Luke Ridnour led Oregon to a 26-9 season and the 2002 regular-season Pac-10 Conference men’s basketball title before coming within one win of reaching the Final Four. They will join 182 elite athletes and 25 teams who have been selected as part of the school’s athletics showcase that originated in 1992. A pair of former Whatcom County student athletes will be inducted into the University of Oregon Athletic Hall of Fame at a ceremony on Friday evening, Sept. 12, and honored at the Ducks’ football game against Wyoming on Saturday, Sept. 13. Blaine basketball standout Luke Ridnour and former Sehome football lineman Beau G. Robey will be honored as part of the Class of 2014. Ridnour started at Eugene as a point guard for the men’s basketball team from 2000 to 2003 before entering the NBA when he was drafted by the Seattle SuperSonics. He started 96 consecutive games and directed the Ducks to the 2002 Pac-10 regular-season title — the program’s first conference crown since 1939. Oregon went on to advance to the NCAA Elite Eight. Ridnour, who was selected 2001 Pac-10 Freshman of the Year and 2003 Pac-10 Player of the Year, averaged 19.7 points and 6.6 assists per game his final season. He set a school record with 218 assists as a junior and scored 649 points — the third-highest single-season total in team history at the time. When he left following his junior year, Ridnour stood 15th in school history in career scoring (1,399 points), third in assists (500), fifth in steals (150) and sixth in 3-pointers (203). Ridnour will be joined in this year’s Hall of Fame class by Luke Jackson and Freddie Jones, who were teammates on the Ducks’ 2002 men’s basketball team. Robey, who is now a lawyer in Bellingham, was a member of the 2001 football team, which will be inducted. Robey red-shirted the 2001 as an offensive lineman. The 2001 team was led by Heisman Trophy finalist Joey Harrington and had the winningest season in program history at that time, going 11-1. Oregon just missed out on an opportunity to play for the national title, instead playing Colorado in the Fiesta Bowl, where a 38-16 victory landed them at No. 2 in the final poll. The team was coached by Mike Bellotti.